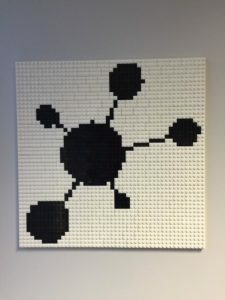 Time is passing by and it’s already been six years since we forked Nagios and created Icinga. Lot’s of things happened since then, Icinga is in its second version by now, our community is constantly growing and since last year we have a great success with our Icinga Camps all over the world. At this point we would like to thank our community, because with your help Icinga became what it is now. 16.6.2014 – The months before the very first and final release have been hard, without sleep and also with the feeling – will the community (YOU!) feel the same about Icinga 2? Icinga doesn’t phone home, so we do not exactly know who’s using Icinga (2) already. Going to conferences, workshops and events makes us believe that there must be a large number already – and looking on our social media streams, there so much #monitoringlove for all the things we do and did right, that’s really really awesome! And especially you, the Icinga users, are the most awesome to adopt the new configuration syntax, to love the apply rules and to drop not-helping migration scripts and whatnot. Explaining best practices and working together on the best documentation there is – that’s how communities are enjoyable and fun for both, users and developers. 2.3.x reflects that even more. Who could’ve expected such a massive warm feedback and familiar atmosphere back in September at GitHub HQ 3.0 – our first Icinga Camp San Francisco was pretty much a blast. And so we took the offer to spread the #icingalove on multiple places all over the globe – Barcelona, Antwerp, FOSSASIA, FlossUK, SIG-NOC meeting, OSDC, Rootconf, Opentech Summit, Kuala Lumpur … more, more, more! For the first time we had our own booth at the world´s most famous IT exhibition. The Open Source Forum at the CeBit was the perfect platform to present Icinga to a wide audience. After the talk our booth was surrounded by a crowd of new Icinga fans. 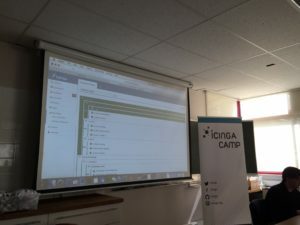 Visitors and users enjoyed there the fancy Icinga Web 2 demo and saw how Icinga 2‘s apply-services-based-on-patterns works. We enjoyed showing every bits and pieces of Icinga and had a lot of fun during this week. 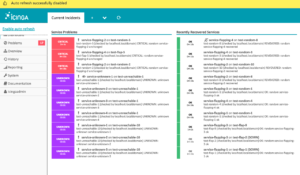 As it seems that the Nagios guys have been removing/banning everything Icinga-related, we’ve come up with our very own plugin and module exchange platform. Next to the Solr-backed search index it offers automated Github sync – the activity in the past months already shows that this extra work was the right decision moving forward. Once Icinga Web 2 and its CLI is ready, we think of automated setup wizards and much more. 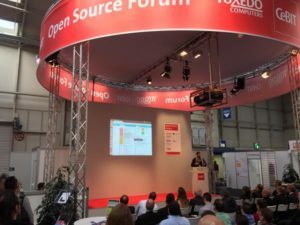 Later in 2014 we’ve been to the OSMC in Nuremberg – where we’ve released Icinga 1.0RC in 2009 – announcing the first beta release of our next generation web frontend Icinga Web 2. The web developers are working hard to improve and fix all the bugs reported ever since – at the time of writing they are wrapping their head around their first release candidate hoping to incorporate everything required for a final release. Quality requires time – so thank you for your patience and overwhelming test feedback and bug reports. Icinga Web 2 follows the new era started with Icinga 2, rewritten from scratch and abandoning the Nagios roots. Rewritten from scratch, responsive design, fast, looking pure magic, web based setup wizard and much more. Modules for everything. While we’ve started working on graph integration with PNP4Nagios and a new Business Process module, community members started hacking away with NagVis and Graphite integration. Icinga Exchange also got a new category for these kind of modules allowing easier installation in the future. We have Puppet, Ansible and Chef module maintainers on the team, enriching the Icinga ecosystem and allowing community & enterprise users to automate all the monitoring stuff they’ve been looking forward to. Most certainly we’ll follow the same strategy as for our beloved packagers on the team – keep it upstream, one single download & maintenance location. Icinga 2 already paved the way for packages. We’ve put plenty of effort into offering a variety of distribution packages and repositories from the very beginning. Packages also do help a lot when being built on each git commit, testing all the stuff with Jenkins in an automated fashion. Putting that together with developing Icinga Web 2, having snapshot packages available since early stages and using them in our Vagrant box demos – well, we are now focusing on development which runs much much faster these days. And presentations and events are a bit tad easy using the Vagrant boxes for live demos too. Our journey does not stop here – still looking for new fields of monitoring. The final release of Icinga Web 2 is scheduled in the next months, certainly sooner than Icinga 2 and 2.4 where we will go for a generalized API – more updates on this topic soon. We’ve also put effort into a concept for creating a web based configuration module for Icinga Web 2 later in 2015. By the way, if you are wondering who I am – My name is Stephanie, I work for NETWAYS and therefore have been following the Icinga Project for some years. Now, I would like contribute and support the team with the community channels. So you will read more from me soon.